If you need a positive, get results, enthusiastic, marketing expert, referral partner, then me and my team would love to help with all your referral needs in Central Florida. 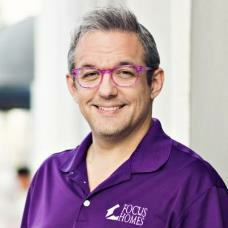 Hi, I'm Jared, the team leader for Focus Realty Group, KW Lakeland, and ever since I was a young boy I have been drawing houses and building houses out of Lego and Lincoln Logs. I completed my college BS degree in construction management from BYU-Provo and I have been working in the industry for years - housing is just in my blood. I love it! My team has the same passion that I do. Refer your clients to us and we will take care of them.